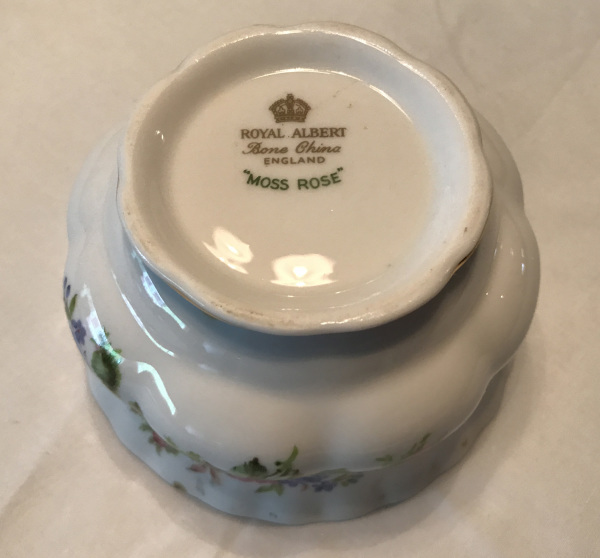 1956 Royal Albert, Moss Rose Pattern, Sugar Bowl as seen from the front. 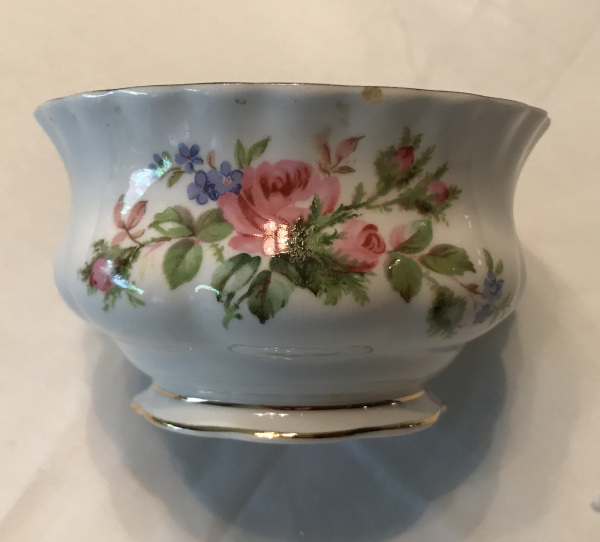 1956 Royal Albert, Moss Rose Pattern, Sugar Bowl as seen from back. 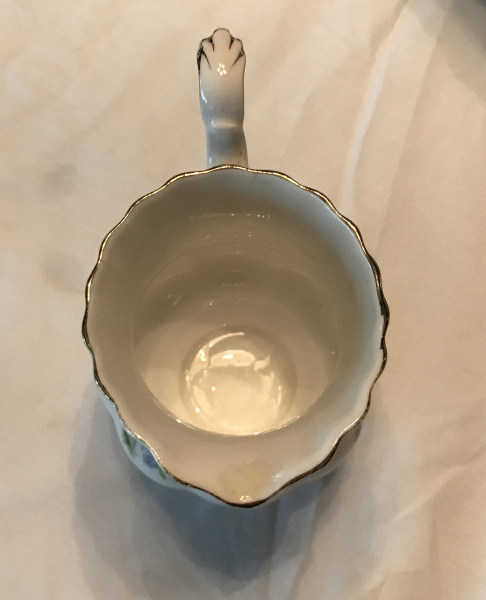 1956 Royal Albert, Moss Rose Pattern, Creamer Pitcher as seen from the right. 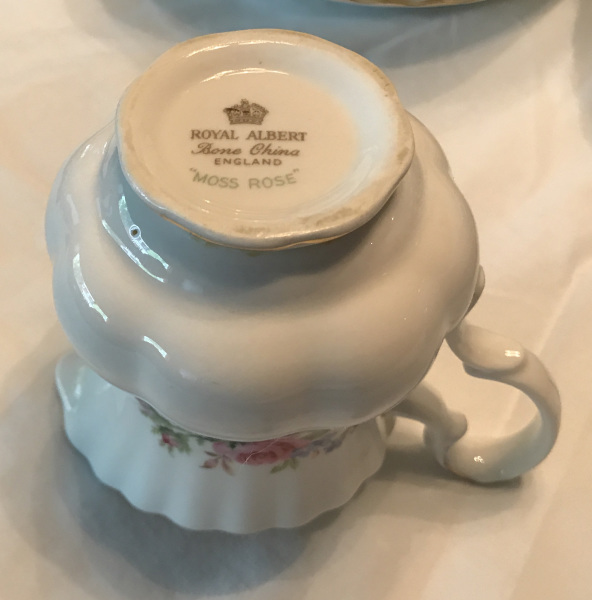 1956 Royal Albert, Moss Rose Pattern, Creamer Pitcher as viewed from base, showing maker's mark. 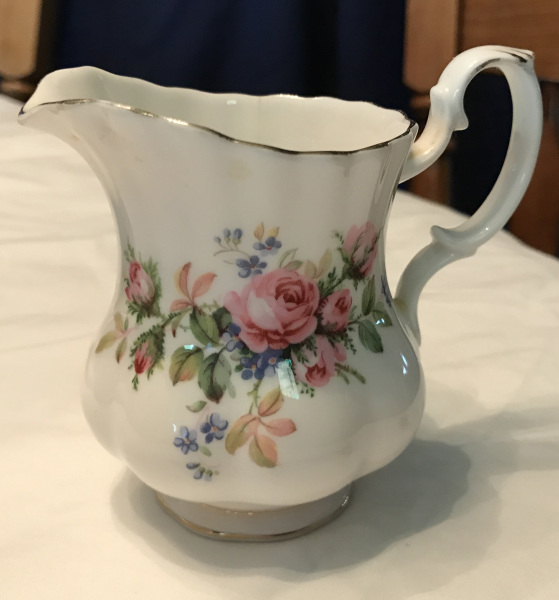 1956 Royal Albert, Moss Rose Pattern, Creamer Pitcher as seen from front left. 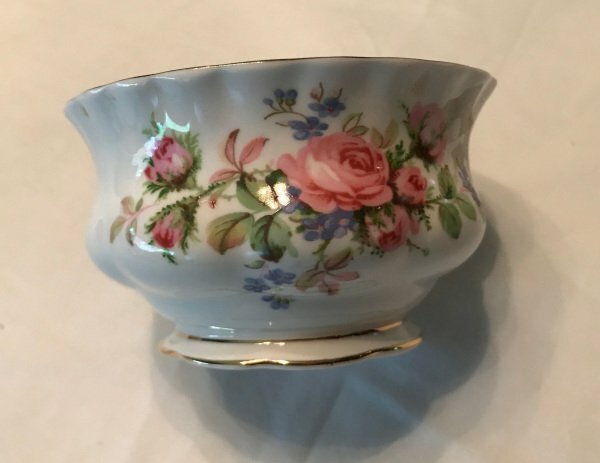 1956 Royal Albert, Moss Rose Pattern, Sugar Bowl as seen from the bottom, showing makers mark. 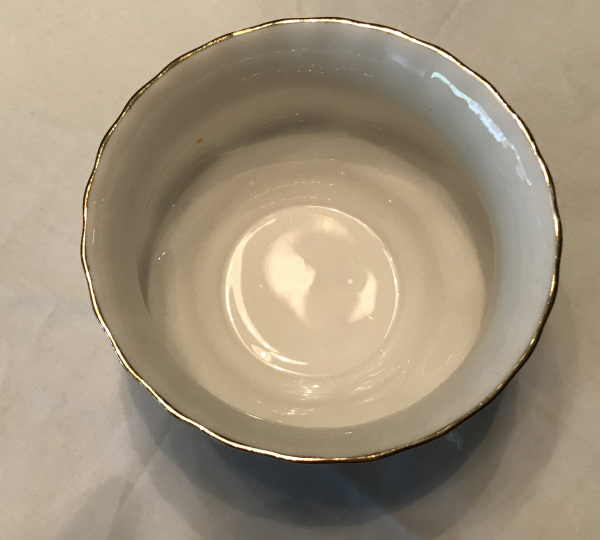 1956 Royal Albert, Moss Rose Pattern, Sugar Bowl; view of inside of bowl. 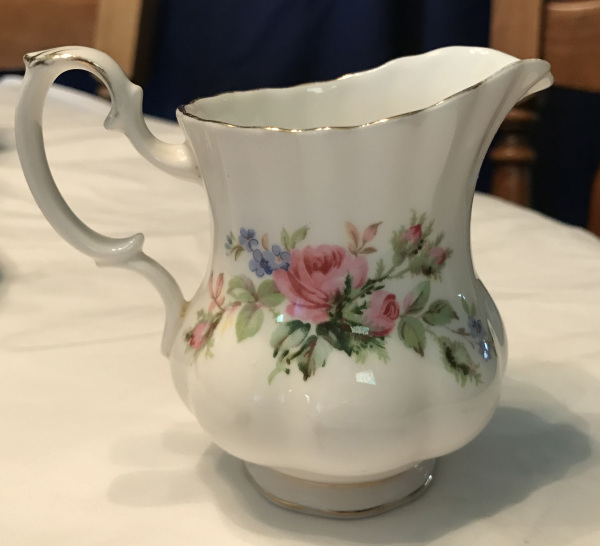 1956 Royal Albert, Moss Rose Pattern, Creamer Pitcher; view of the inside of pitcher.